At the end of March 2017, I was asked to play a Drum & Bass showcase night at Tallinn Music Week, where I wanted to fill my 45 minute "live" set with my own material and re-works. I needed something solid to finish on, and was hoping that those who had come to see me would be familiar with the original remix of this one - and I know it's been re-edited before by Rashad and Manny - but I was looking for something a little less footworky for my set, so i put this together in a pinch. 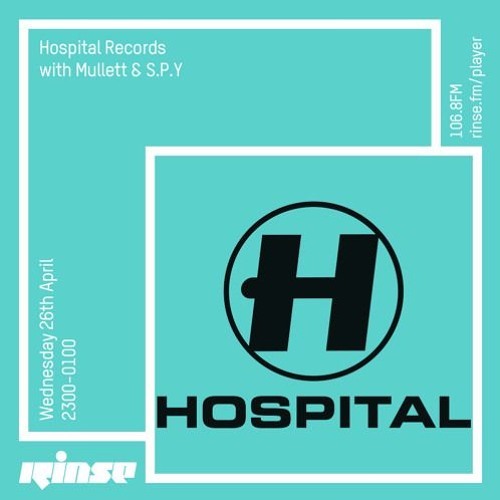 I also met a couple of lovely blokes at the DnB night in Estonia - Romy and Tom from Hospital Records / Med School - and as it turns out, the original remix was a favourite of Tom's - so I passed him the re-edit and it made it's way on to the Hospital Records Podcast last night on Rinse FM. It's actually brilliant how something I made through the love of the music, the love of the track and the connections to these people, has made it's way from my studio to a brilliant label's podcast on a brilliant radio station in such a short period of time. Huge thanks to TMW, Liisi, Tom Mullet and Romy harber for making this all happen! :) Pleased as punch!